An engagement ring is a memento that represents a commitment. The Wedding Ring Shop helps you find the ring they’ll never want to leave home without. These unique engagement rings have been crafted by the world’s most admired jewelers like Tacori. 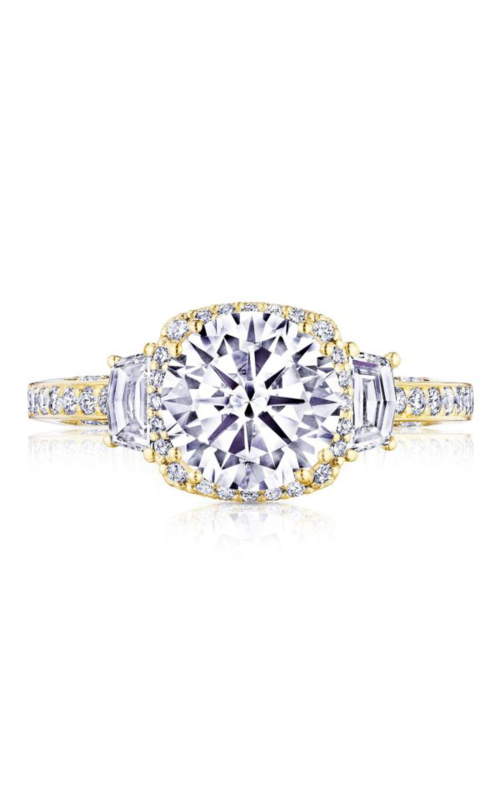 Tacori presents this first-rate ring that is sure to impress. You’ll find all the brands you adore right here in Honolulu, Hawaii. The 2663CU8Y is a vintage, milgrain style ring that is loved by all. This three stone, halo ring goes well with anything, especially a wedding dress. The 18k yellow gold design is subtly understated yet bold. See her face light up as she stares in awe at the round center stone. Held in a prong setting, the exquisite stone sits impressively on the band. The center stone is not included (sold separately). The Wedding Ring Shop in Honolulu caters to any type of ring preference. We ensure that we can help you choose the perfect ring for your loved one. The Wedding Ring Shop is proud to offer a vast selection of brands that you will love.